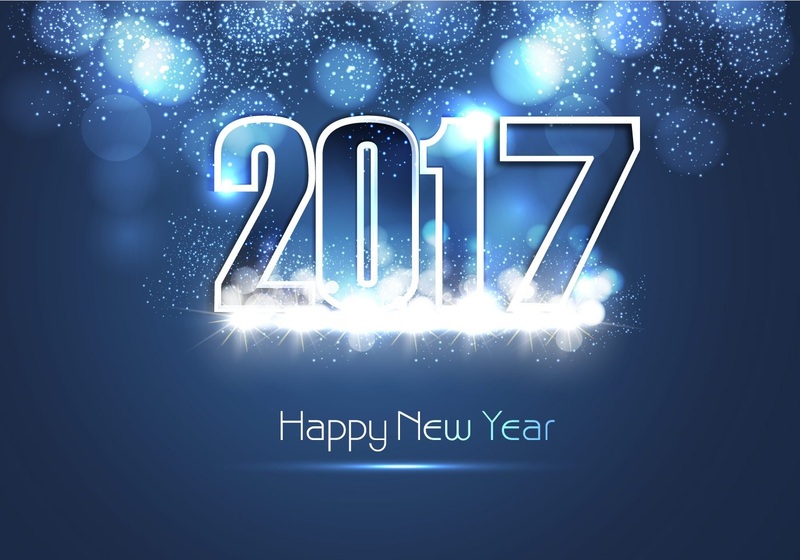 It’s that time of year – what are your Gaming Resolutions for 2017? I can hardly believe it’s been a whole year already! 2016 flew by and now it’s time to check in with everyone and hear what your Gaming Resolutions are this year. Now last year I made the case that you should change your thought process from “Resolutions” to Goals and I hope that worked for you. It helped me out quite a bit! 2 – Finish Painting ALL my Tyranids – even the ones I don’t use. Ever. 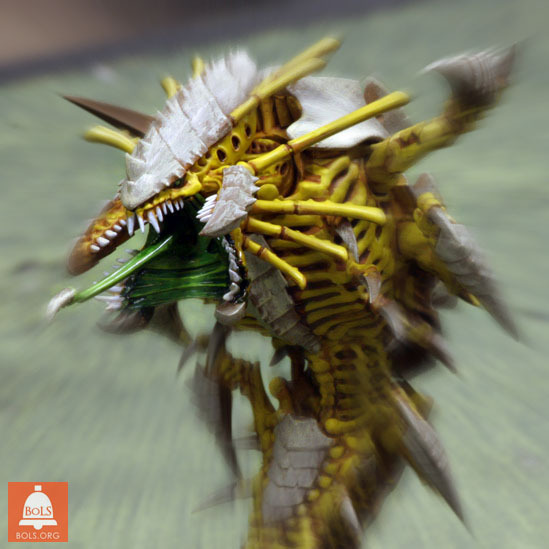 It did dawn on me last year that the Tyranid army I have at this point just a labor of love – I’ll never been done with that army because I’m never going to stop collecting things for it. I’m just going to continue to collect and paint it until I run out of space and/or money. Which could end up happening at the same time! Clean-up the “Man-Cave” … again. Now, I already have the new army – The temptation to start a new AoS army was too strong with those Battleforce Deals. 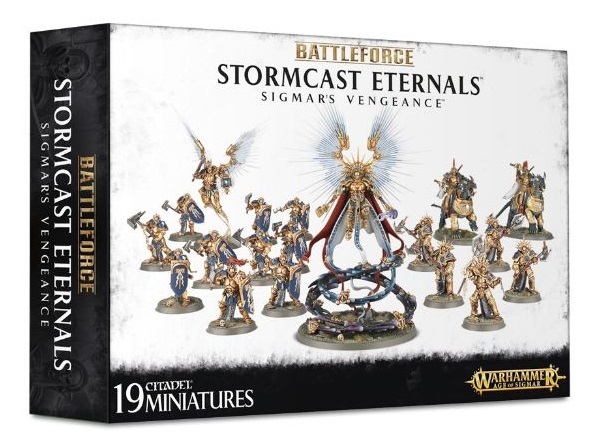 I finally broke down and bought the Stormcast Eternals. The price was TOO good to pass-up for me. I also picked up 1/2 of the AoS starter and was eye-balling some one-off kits, too. I should have a very solid starting army and a fun project/goal for this year. I’ve got my eye on another hobby project in the form of a Blood Bowl Team. I really like the Skaven team’s play style but the Orc models are calling to me – give me a team suggestion in the comments below! The Hobby Room/”Man-Cave” needs to get cleaned out again. Ideally, I should clean it up every couple of months or so. It’s really just the little things like excess sprues that need to get cut-up and trashed or re-organizing my paints and putting them away properly. Juggling too many projects at once leads to clutter and mess – I’m super guilty of that! 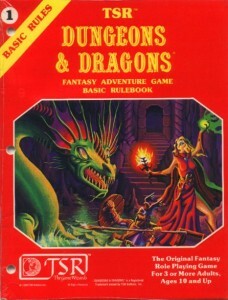 My final goal is to run a successful D&D campaign for the year. I’ve partnered up with another D&D player/DM and we’re actually running a joint-campaign that involves two separate parties. The two parties will each have a DM and we’ve got the campaign planned so that they will cross-paths for what we have dubbed “Raid” level encounters. Most games will just be me and a group of players – so nothing crazy. But we are working pretty hard to craft a story that makes sense and involves all the players in some way. I can’t spoil too much but it’s going to be a year-long campaign. So what are you big goals for Gaming in 2017? Let us know in the comments below! 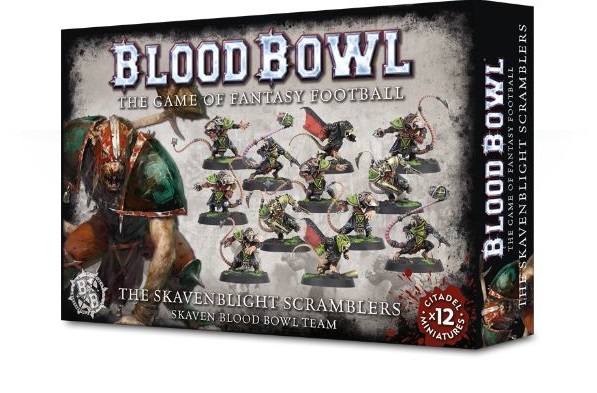 PS: Orcs or Skaven for Blood Bowl? Help me decide!